OpenStack is a Cloud Software that manage large pool of compute (hypervisors), storage ( block & swift ) and network resources of a data center. It provides a Dashboard where admins can create and manage Projects (Tenants ) and give appropriate access to the project members , further on Project members can create VMs (Virtual Machine). Step:1 Set the hostname using hostnamectl command . [[email protected] ~]# hostnamectl set-hostname "openstack.example.com"
Step:4 Enable rdo repository for liberty packages. Generate the answer file using below command. Edit the answer file “/root/answer.txt” , set the following parameters and leave rest of parameters as it is. Note : In case if you don’t have NTP server in your setup then you can leave NTP parameter as it is. Step:6 Start OpenStack installation using answer file. Once the installation is completed , we will get below message. After the installation a new interface “br-ex” will be created and assign the IP addess of eth0 or enp0s3 to br-ex . In above files please change the IP details, Hardware address and Device name as per your setup. When we restart the network service , it will add “enp0s3” as a port in br-ex OVS bridge. Please take a reboot and check whether settings are persistent or not. 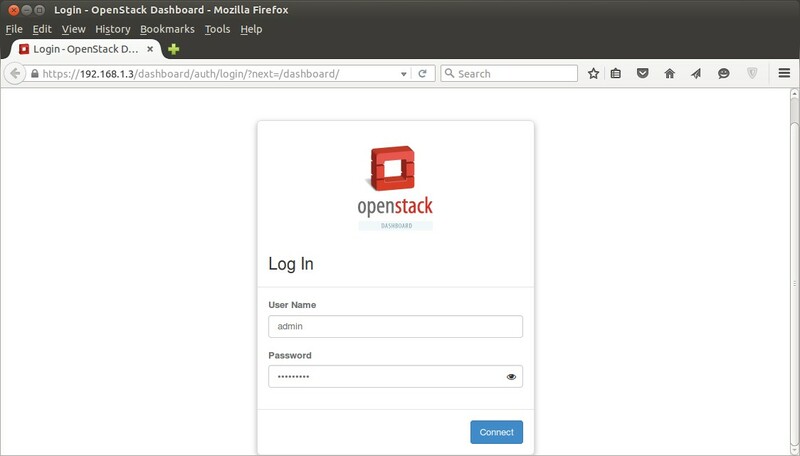 Step:7 Now Access OpenStack Dashboard. Use the user name as “admin” and password that we set for keystone admin user in answer file. Try to stop the ntp service first and then start the installation. Could you let me know how I can add additional IP address to the openstack? For test I am using private IP address. After the open stack installation as you said. >>> After the installation a new interface “br-ex” will be created and assign the IP addess of eth0 or enp0s3 to br-ex . What OS version you are using ? and paste the content of directory (/etc/sysconfig/network-scripts). In case of CentOS 7.X & RHEL 7.X we have a interface file either with name “ifcfg-enp0s3” or ifcfg-eth0/1/2′ under the directory ‘/etc/sysconfig/network-scripts/’. I am using Centos.7.1. Here is network-scripts folder contents. can u please tell me why it is like this. Nice article all steps are working properly. I cannot access to external network from instances that I launched in openstack environment. I have mapped it corectly but still cannot ping is threre a way you can show us how to map it our virtual netwotk to external network. It will be so helpfull. Getting this error when trying to Start OpenStack installation using answer file, if anyone can help me here. i am also getting same error..how you resolved? The only available attributes in the file eno1 are these. I changed the ‘TYPE’ and the ‘ONBOOT’ thing. Do I need to add the other stuff myself? Thanks for the great article. Could you please share the interface details of the VM. How many interfaces should I create? I created 2 interfaces. 1 with NAT with IP 10.0.2.15 and other with HOST-ONLY Adapter with IP 192.168.1.30. But in my answer file I configured the 10.0.2.15 as the IPs for controller. The packstack was successful but I am not able to access Horizon on the 10.0.2.15. Could you please help? Basically You can keep two interfaces for each node( Host-only and bridge). Specify the IP address of host only interface in the answers file for your respective nodes. All the openstack management API communication will be done via host only network. You can access the each node and dashboard from the outside using bridge interface ip address. Thank you Pradeep. For the single node setup, I added a port forwarding rule and it worked. Now I can access the horizon. But the multinode, because of the lack of resources my setup is a little chaotic. I have a virtual box with 2 vms in a physical host and in another physical host, I have another vm inside the virtual host. The problem now is that the vms in different virtual boxes can communicate only via the bridge. In that case the bridge has to be used for the openstack Management API communication? Yes Ankur ,When the VMs are hosted in different virtualbox then Bridge will be used for Openstack Management API communication. I’m getting some problems. I can’t use keystone command, it says it not exists. I can’t create a network because it says it needs a plugin to get an auth token or it gives me error 401.If someone can help i’m really in need. May you guide me how to slove it? Thanks for the great article. I am facing some problem , the installation gets stuck up at Testing if puppet apply is finished: 192.168.0.250_controller.pp. Could you please help me . Which Openstack version you are trying to install and if possible share the error logs of your installation. Always happens even with the option all in one , and i have the same repos as the example , i have followed all the steps that the tutorial says…. could you help us? openstack-packstack noarch 10.0.0-0.1.0rc1.el7 @openstack-ocata this is the version an is a CENTOS 7 , for SO. Can you share the what exactly error are getting in log file. Whenever we start OpenStack installation, it gives the log file where you can track error logs. Error: Systemd start for httpd failed! No.1: at step 5, ediiting the answer file, about the option ‘CONFIG_HORIZON_SSL’, if i set ‘y’, i got a error during the installion, which prompts ” ERROR : [Errno 2] No such file or directory: ‘/etc/pki/tls/certs/selfcert.crt’ “; so i have to set ‘n’, then the installion succeeds. so what the meaning of this option? is there any problem that i set ‘n’? No.2: i’ve not done the step 6, i can still access my dashboard link, is there any problem that ignoring this step? 1) “CONFIG_HORIZON_SSL =n” means your openstack dashboard will open on http protocol. Communication between your web browser and Dashboard will be non-secure. 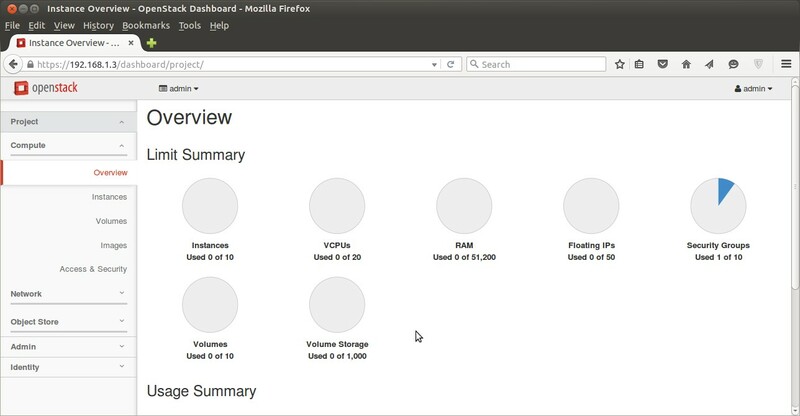 2) In case you skip step-6 then you can not access the VMs from outside with floating IPs. Hi, i’ve done the step-6, got another question: my initial ip is 192.168.99.141, dhcp, after adding this new interface br-ex, restarting the network and rebooting, my initial ip becomes 192.168.99.143, i can stilll access my dashboard link, is this normal? Error: Systemd start for rabbitmq-server failed! Administrators will learn to use the docker command to start, stop, query, and list installed services. Containerizing services allows OpenStack to scale easily and quickly, to be more resilient, and to more easily handle configuration management and upgrades. I get this error. Could you please help?